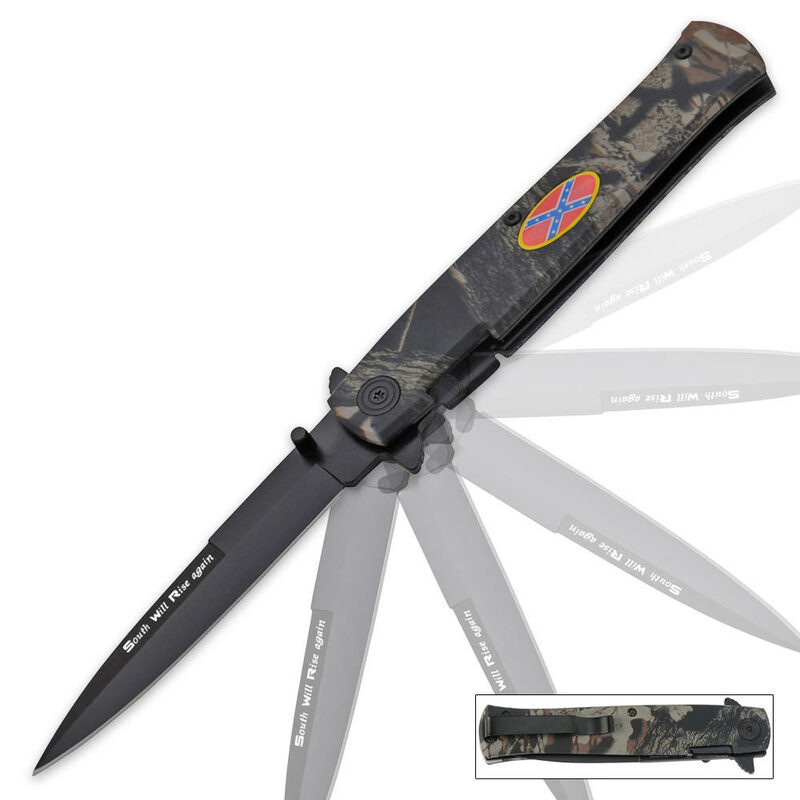 Rebel Flag Assisted Opening Digital Camo Stiletto Folding Pocket Knife | BUDK.com - Knives & Swords At The Lowest Prices! Show off your rebel pride with this brand new assisted-opening folding pocket knife. This stiletto-style knife features a stainless steel spear point blade with an anodized black finish. Engage the built-in blade spur or thumb stud to activate the assisted-opening mechanism, which provides for speedy, one-hand opening. 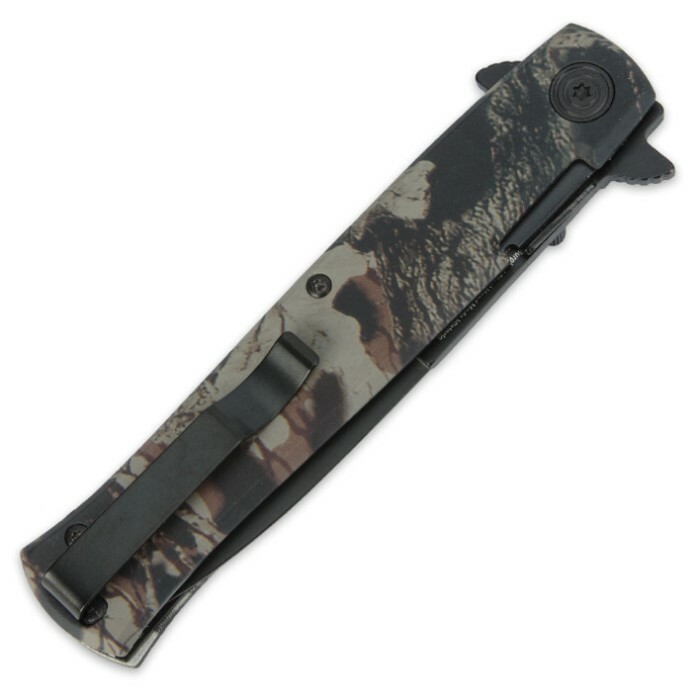 The aluminum handle features a camouflage finish with a rebel flag medallion. Clip this bad boy to your pocket with the handy pocket clip.